The horrible book to go with the TV series! Do your grandparents moan on about what life was like in the war? Want to know if they’re telling the terrible truth? 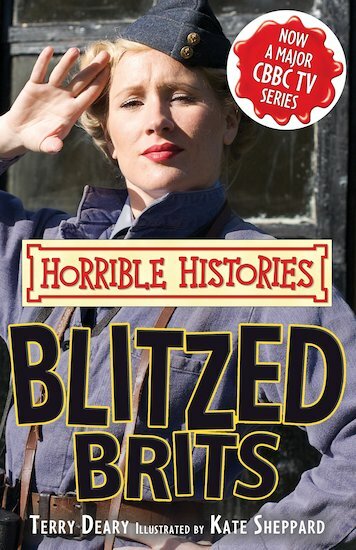 Read on to discover the horrible hardships the Blitzed Brits suffered while bombs dropped out of the sky! Find out what really happened in Dad’s Army! See how to make a rude noise with a gas mask! Learn why the Brits ate chicken-fruit, sinkers and nutty! Faint at the thought of spending seven years without TV! 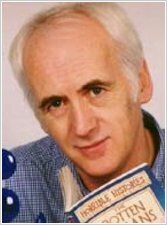 Plus there’s heaps of spiffing slang, foul food facts about rotten rationing, awful evacuation tales, and the terrible truth about London’s bloodthirsty blackout murders! So there’s plenty of gore – and much more.